Can’t drive to the pharmacy? Not to worry. 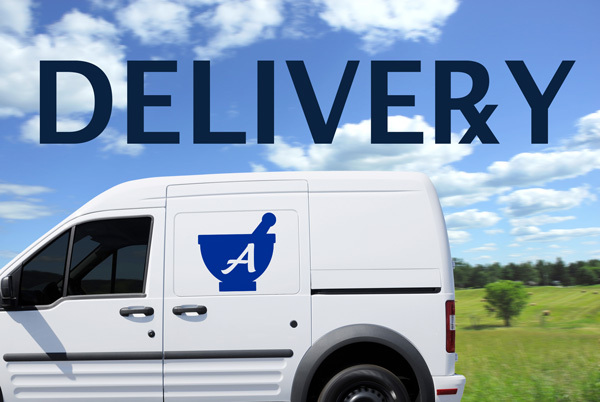 We will deliver both our general merchandise and prescription items directly to your door. No delivery order is too small or too large, and you do not need to have a prescription in order to qualify for home delivery. Unlike a pizza delivery (an on-demand, 30-minutes or less), we schedule deliveries throughout the day. We will work with you to make sure your needs are met. A minimum delivery fee does apply for certain orders. Please call the pharmacy to set up a delivery time and to discuss delivery fees. Call for a delivery: (774) 901-2445.